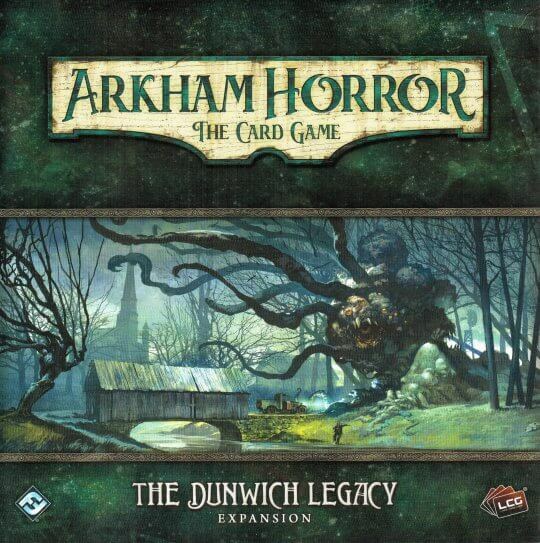 With five mini cards and 156 full-size cards, The Dunwich Legacy challenges you to find the missing professors and launches you into a campaign that leads to Miskatonic University, the notorious Clover Club, and beyond. Five new investigators arrive to offer their services, armed with fifty-nine new player cards (including a complete playset of each) that allow you to pursue new deck-building strategies and new styles of play. Finally, you’ll find all manner of new terrors arrayed against you—from backroom thugs and bad luck to arcane hexes and wholly unnatural abominations.